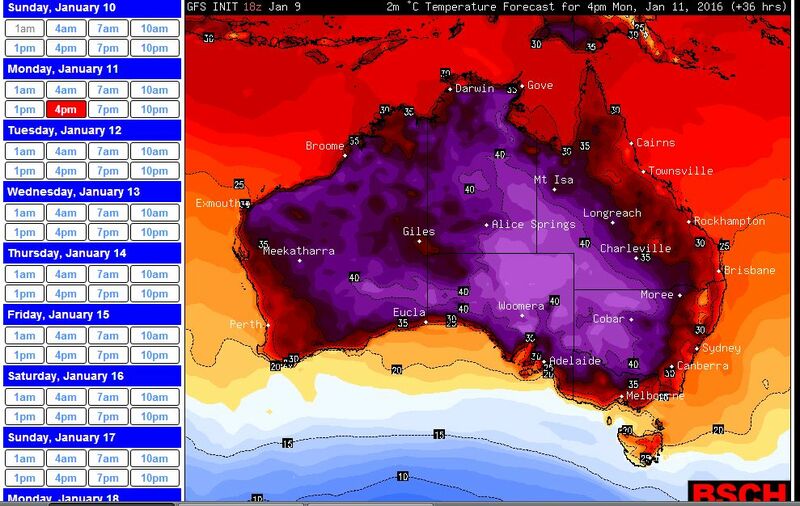 Well, it has been in the models for some time and I heard it from Nick last Sunday - it was going to be hot today. When you see 850hPa 24C isotherms over you the rule of thumb suggests about 40C at the surface! 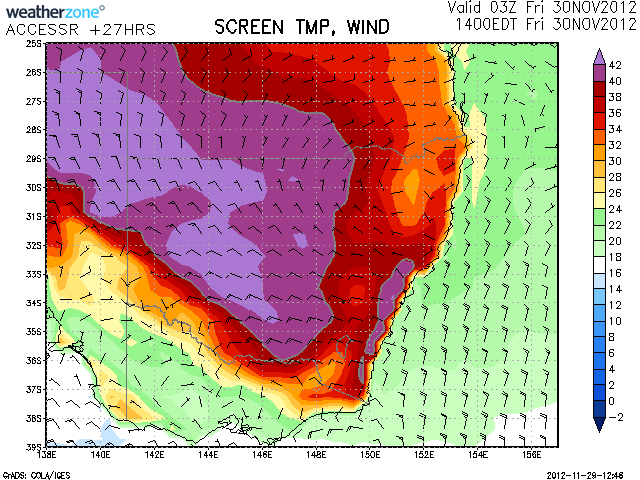 I would think with such heating storms will develop in some regions of NSW but they will be high based. 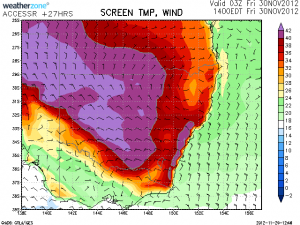 What temperatures are people predicting for Sydney's west today? 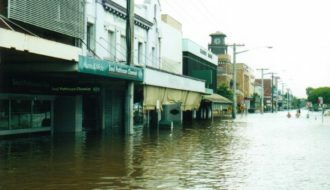 How about maximums in NSW? Certainly Mildura yesterday 29/11/2012 reached an impressive 45C and when looking at the weather station, I was amazed to see a dew point of minus 0.4C just after 2 pm. Very dry heat. 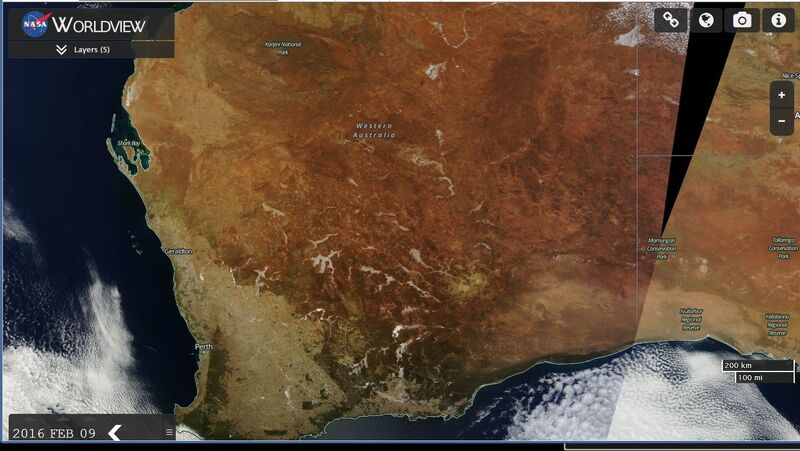 I am looking at weather models and see that heat coming across today and tomorrow. 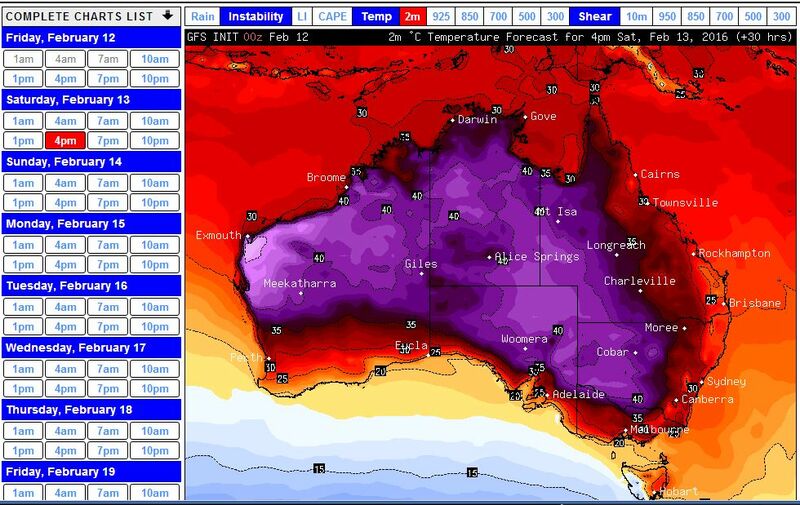 It looks like Penrith and Richmond could reach close to 40C today and even tomorrow and I am seeing potential for a possible storm in the area late in the day. 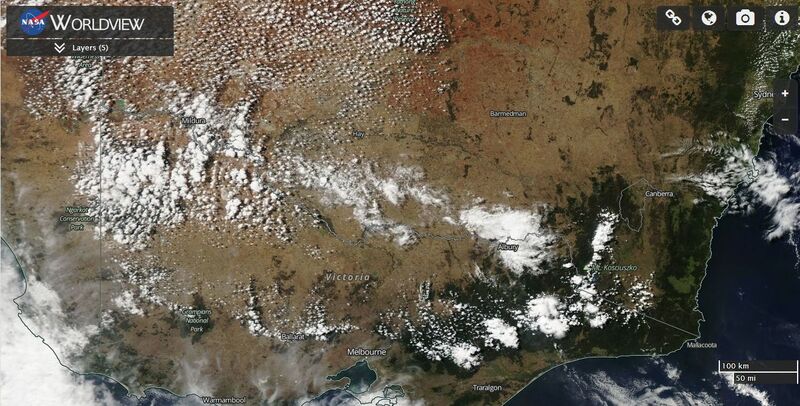 It will be warm but there is a cloud mass and a change with little rain in it crossing through southern NSW. The greatest heating would be in those areas outside the influence of that cloud band and cool change. 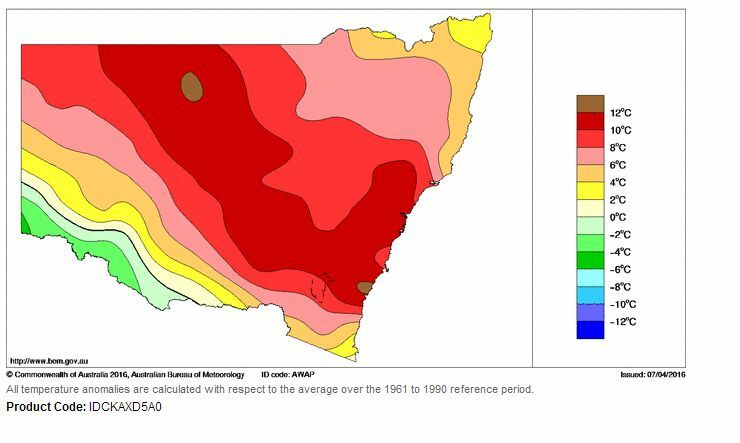 It looks like any 40C temperatures that occur today in the Cumberland Basin Sydney region would be limited to western Sydney around Penrith and Richmond and nearby suburbs with temperatures moderating towards the coast eg Blacktown where I live is forecast for 38C and Sydney City low 30s. 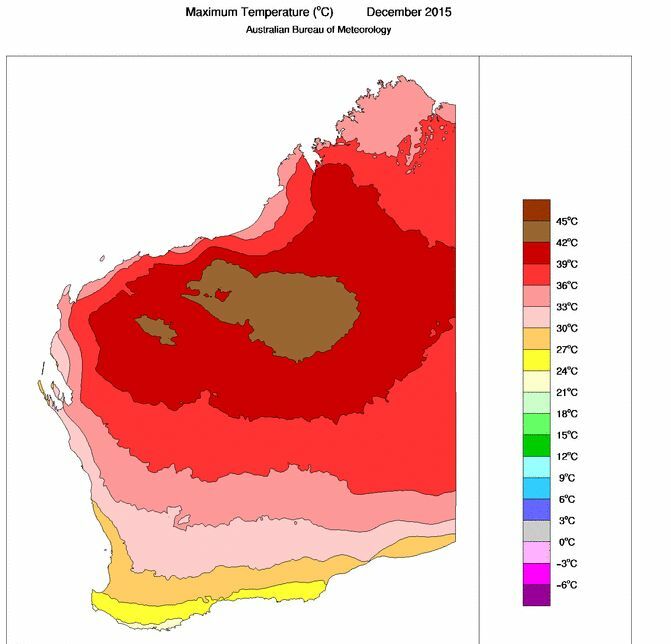 The Bureau access model has indicated the potential of 42C tomorrow – well we shall see. 36.9/23 at Penrith, are you kidding! That is humid heat comparible with Singapore and worse than what was experienced yesterday across Victoria. A very lightning active storm is currently passing by to my south in Salamander Bay. The lightning tracker isn’t picking up much at all and from what I can see the majority of the lightning is cloud to cloud. A spectacular display nonetheless after having missed out on the action which has been occurring elsewhere in NSW during the last few weeks. 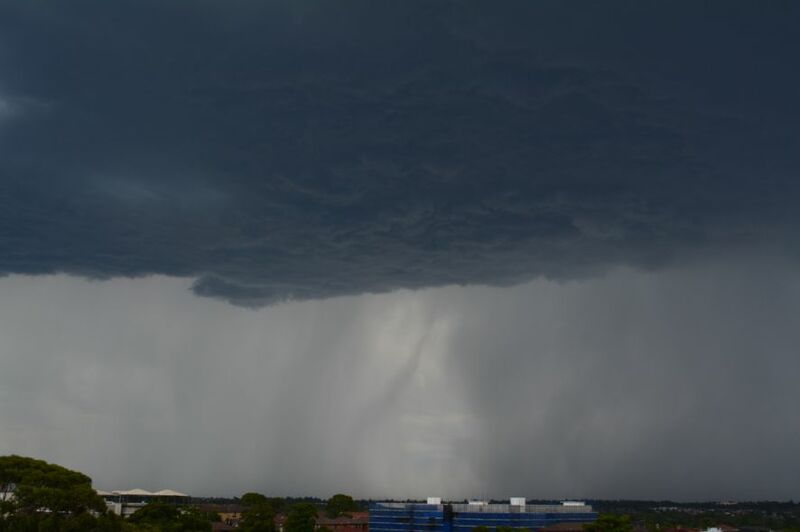 A possible supercell passed near Ballarat last night. Certainly a fast moving and sustained core. Check one of the thunders! Scary thunder on the video added from this event!